HONG KONG: Unheralded South Korean Choi Ho-jin upset Olympic champion Lin Dan in straight sets to win the men's badminton final at the East Asian Games on Sunday, in one of the biggest upsets of the meet. Lin, a three-time world champion, blew early leads in both sets and appeared to struggle with the lighting, letting the shuttlecock go on several occasions when it fell in. Down 18-20 in the first set, the world No. 2 saved set point despite slipping, but an easy put-away gave Choi a 1-0 lead. Lin squandered 4-1 and 15-12 leads in the second set and bothered by two close calls that brought Choi back to 15-15. He never recovered, saving one match point down 17-20, but missing a forehand on the second to give Choi the win. The 26-year-old Lin said he was tired after a long season. "I played in so many tournaments in the second half of the year ... I was in France, I was in China," said Lin, who nonetheless praised Choi for playing well. 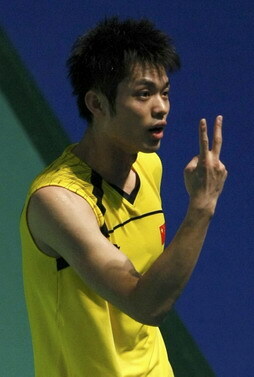 The result left China with a relatively poor showing in badminton, even though the sport is one of its strongest. In the women's singles final, world No. 17 Yip Pui-yin of Hong Kong beat fifth-ranked compatriot Zhou Mi 2-1 after Zhou retired with a waist injury while trailing 10-17 in the second set. Graduates in the village cadre program all wanted to reduce poverty and have a positive impact, but many simply filed papers and acted as secretaries. Taylor Swift performs during the Z100 Jingle Ball in New York December 11,2009.